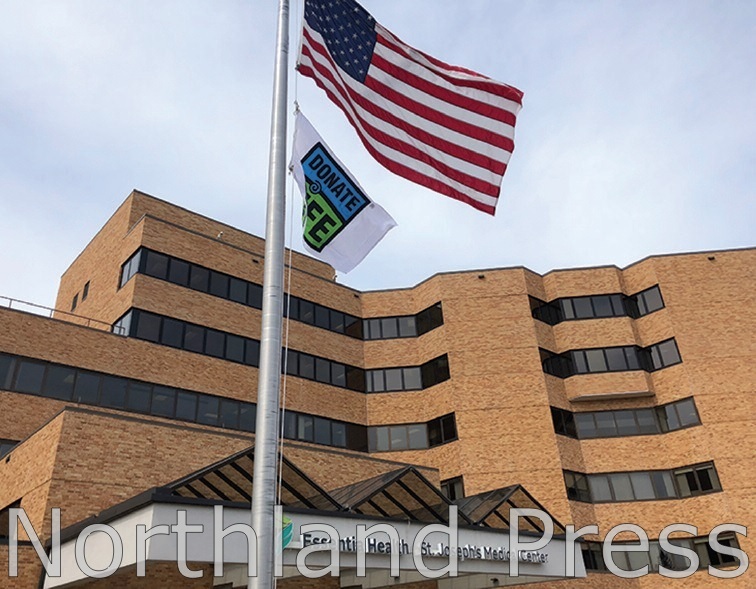 Essentia Health in partnership with LifeSource, the region’s organ donation organization, raised a flag to honor donors and recipients on Monday, April 1 at the main entrance of Essentia Health-St. Joseph’s Medical Center. The flag will be flown the month of April to bring awareness to National Donate Life month. Since 2013, 14 tissue donors from Essentia Health-St. Joseph’s Medical Center have provided over 1,050 life-saving and life-enhancing tissue grafts to many grateful recipients, restoring new health and life for them and their families.